Over the past few weeks, I've been collecting some of my favourite festive things together. I wanted to write a post about all of the Christmas items that I've been loving this season, as a pre-Christmas December favourites post. 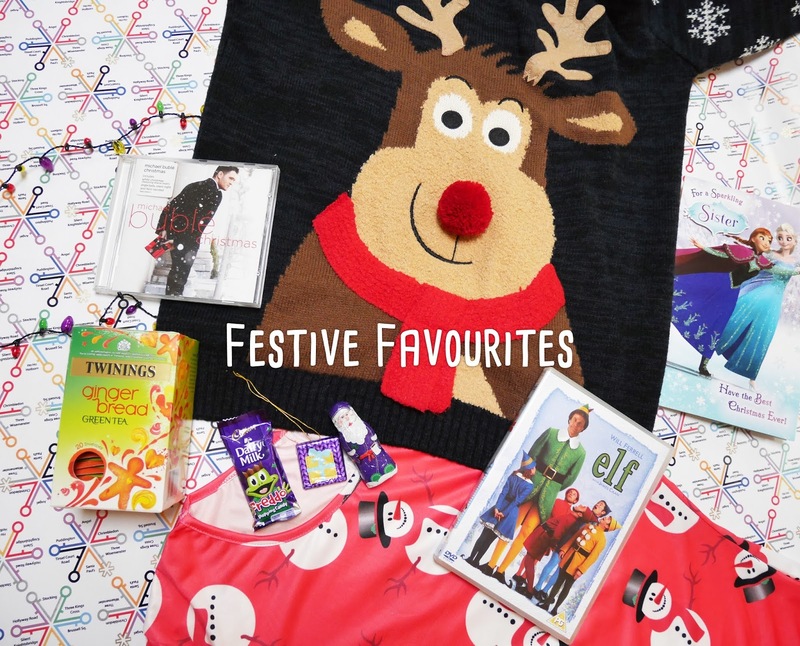 Ranging from chocolate to my Christmas jumper, there's a real variety of Christmas items in today's post! Paperchase have such creative Christmas wrapping paper. This London Underground one is brilliant, featuring names of London Underground stations with a festive twist. Tinsel Court Road is my favourite station that they came up with. I've worn this light up necklace so many times this month already. Wearing this at Uni made me feel very festive! This tea just smells like Christmas. I received a box of the tea as part of my Secret Santa present and I've been drinking it every day since. It just tastes so good! This is by far my favourite Christmas album. Christmas and swing are the perfect combination! Mum's wrapped some of these chocolate goodies in my advent calendar and they're so yummy. Cadbury's really is the best chocolate in my opinion! I bought a Christmas dress on eBay for the festive season and although it was very cheap and not brilliant quality, it's certainly Christmassy! This is definitely top of my festive favourites list. I even wrote a specific post on my jumper, earlier this month. Elf is a Christmas classic. I'm hoping to watch it this afternoon! My sister gave me this Frozen Christmas card and it's so lovely! Frozen is one of my favourite Disney movies, so she picked a brilliant card for me. What are your festive favourites? That snowman dress and fairy light necklace are super festive! Love it!